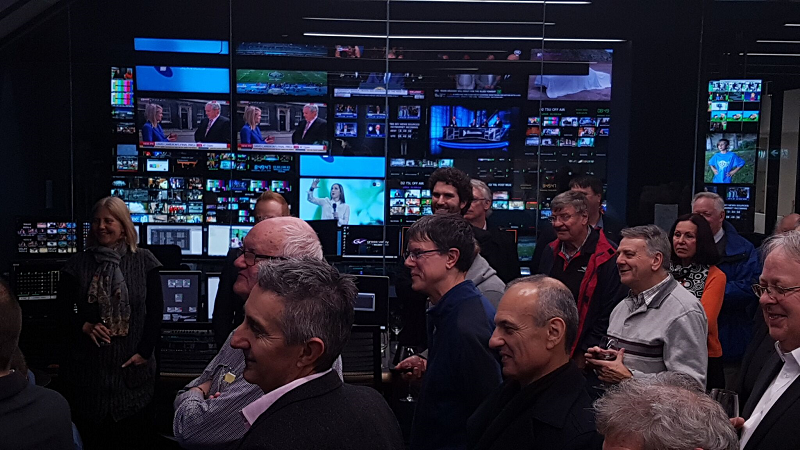 What a great turn out for the Telstra Broadcast Services (TBS) pre-launch visit of its Broadcast Operations Centre (BOC) for SMPTE members and guests. The modest sized room adjoining the control room was at capacity with people outside the door trying to get a glimpse of the monitor and listening intently to Paul Suter’s every word. 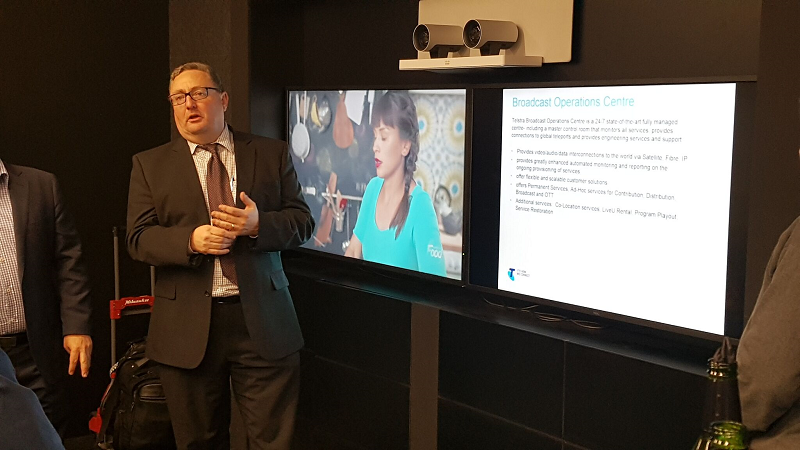 Paul Suters took us through the journey as TBS evolved from being Globecast some hundred metres down the road to the new state-of-the-art Telstra Broadcast Services, Broadcast Operation Centre. 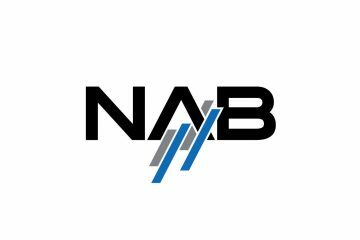 After being given notice to vacate their former premises, the newly formed team at TBS got busy designing a new facility with an IP infrastrucure that caters for both legacy baseband digital video and IP, but can easily transition to a full IP centric facility as the need arises. 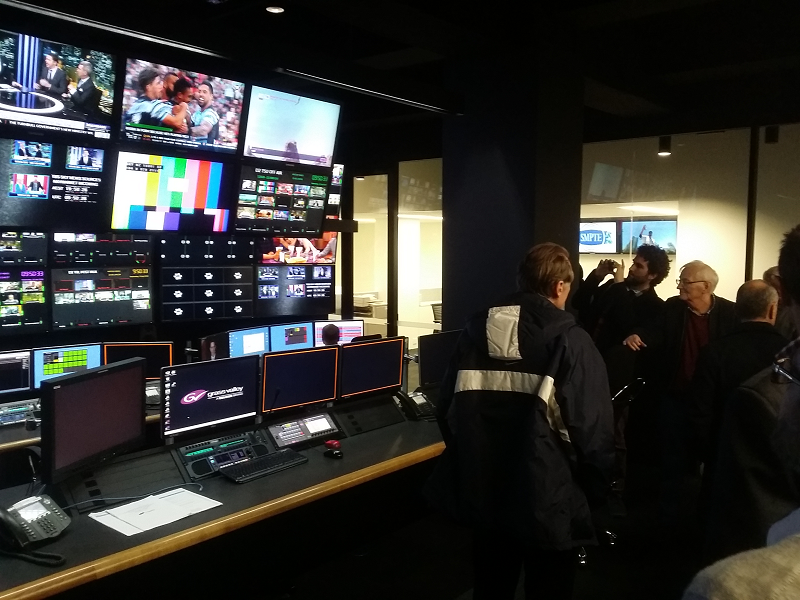 The Broadcast Operations Centre is spread between two floors. 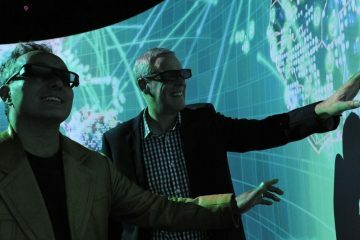 The monitoring and control is on one floor and all the processing hardware is located in a secure data centre on another floor. The main reason for splitting the Control room and the equipment is so that the control room can be easily relocated or expanded and makes it easier to facilitate Disaster Recovery (DR). be 50 or more metres arrived at the 2 rows of racks that makes up the IP switching, processing, routing and multiviewing (and more) for the BOC Control room. 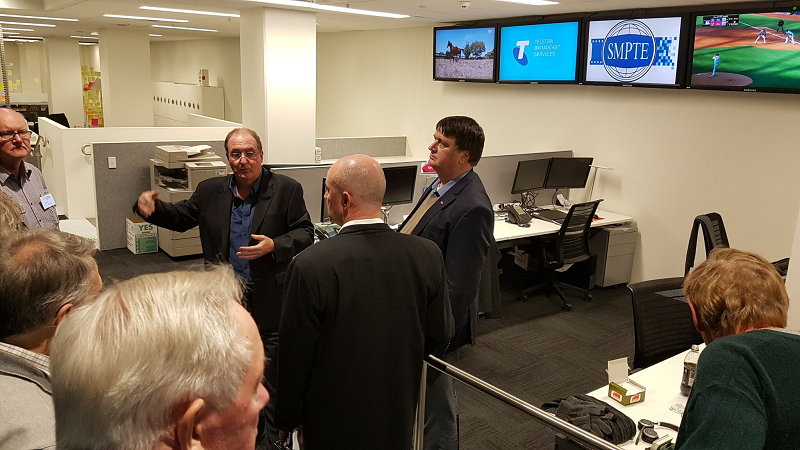 SMPTE Australia Section would like to thank the TBS team for their hospitality and overall a great night, in particular Paul Suters, Karl Petch, Peter Smart and Anna Lockwood, who organised it.